Neutrophils and anthrax bacteria. 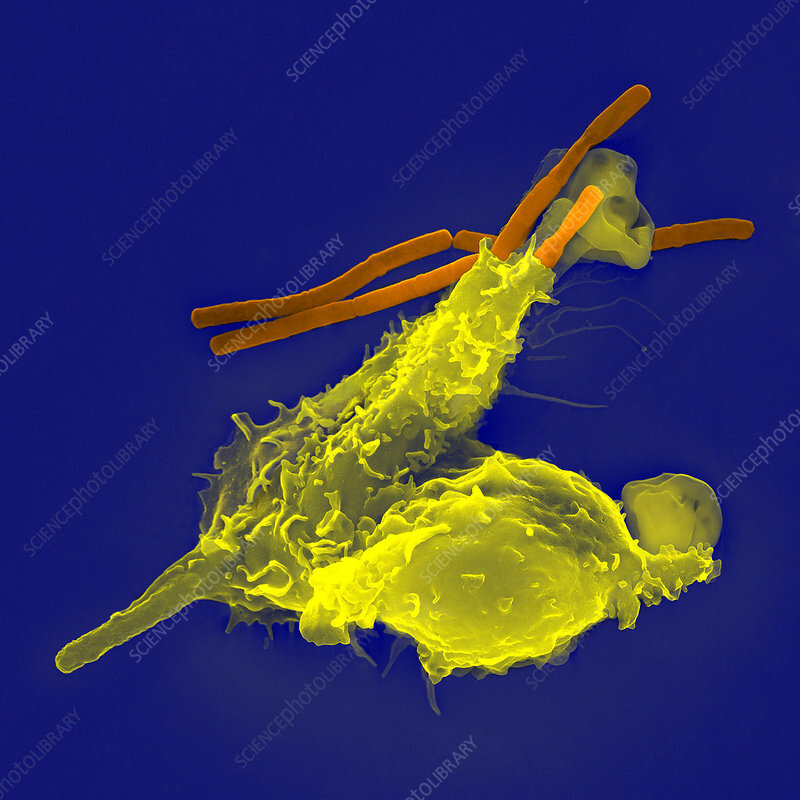 Coloured scanning electron micrograph (SEM) of neutrophil white blood cells (yellow) and Bacillus anthracis bacteria (orange). Neutrophils are cells of the body's immune system. They engulf (phagocytose) bacteria and destroy them as part of the body's immune response. B. anthracis is a Gram-positive, rod-shaped, spore-forming bacterium. It is the cause of anthrax.